Bad weather in the form of ice and snow has caused cancelation of plans to attend Dallas Safari Club Show for this writer. But something good did come of staying inside for most of the day. Serendipity resulted in accidentally coming upon an essay by Craig Boddington, world famous hunter and outdoor writer, about his philosophy of life as it relates to his career in hunting and writing about it. 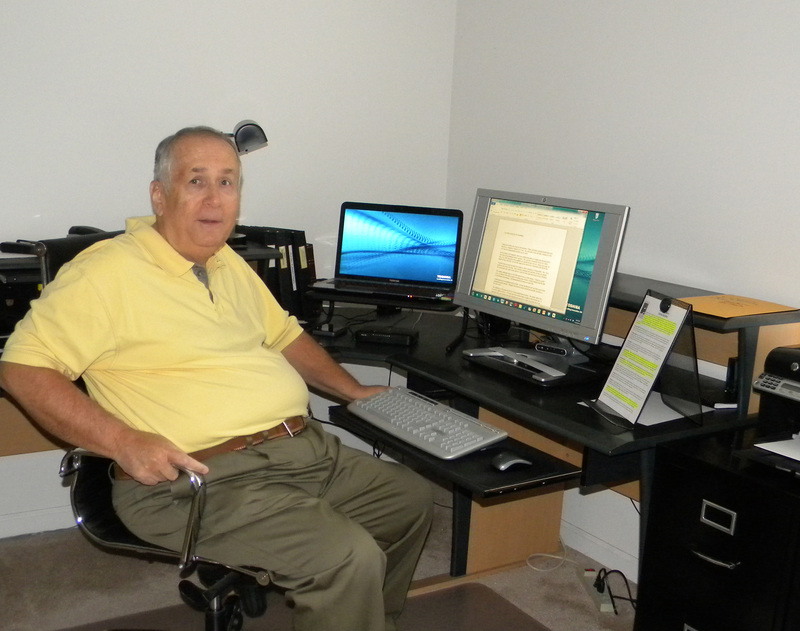 It caused some reflection on this writer’s career in the hunting and fishing field. Although I usually like to keep my personal involvement out of the article, I am making an exception today. The first commercial success occurred in the 4th grade when the prize for an essay on a local bank’s new signage produced the princely sum of $3. It would be about 15 years before the second sale came along. That was about 50 years ago. In between I produced a lot of articles that did not sell as well as some freebees for law journals and social work magazines. I even edited an in-house journal for the social service department of a court system. The real turning point came with a chance meeting at an outdoor show in Chicago. 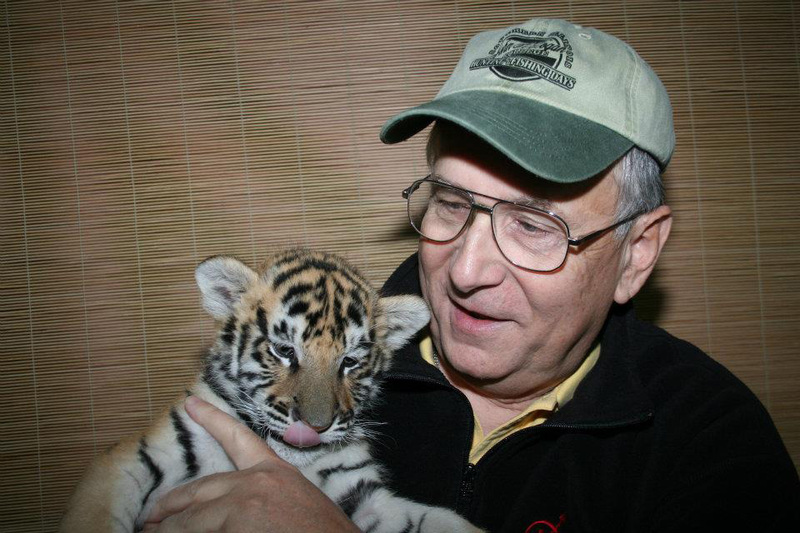 Gene Laulunen had just started MidWest Outdoors. At that time both he and his wife were still teaching school in the suburbs and put the magazine together on their kitchen table in the evening. He was looking for someone to write about bowhunting. He had a writer on target archery and a friend had told him of me. I wrote a couple of pieces that appeared in the 3rd edition of MidWest Outdoors Magazine. I did not write any more for him for some long forgotten reason. In the interim I did write some article for other magazines such as Archery World and Bowhunter. In the mid-70’s I became editor of a journal for the Illinois Chapter of Safari Club International and we contracted with MidWest Outdoors to print and distribute it on a monthly basis. Gene then encouraged me to get serious about writing about the outdoors. Since then I have sold hundreds of article to him and to other publication throughout the upper Midwest. In 1996 I retired from social work and corrections work. Six months later retirement became boring. I returned to writing, appearing in outdoor shows, a couple of videos and sponsorship of a youth goose hunting contest that occurs annually during National Hunting & Fishing Days. I will turn 75 in a couple of months. Writing about hunting and fishing has opened a lot of doors. The field is well-known for a lot of freeloading. For that reason I have been reluctant to accept gifts of trips and gear. It just makes me uncomfortable. Most of my trips whether to Africa or around North America are paid for by me. If I do accept some hospitality in any form it is with the understanding that if it turns out to be a good trip, I will write about it. If not then I will not write anything about it. I do not do negative stories or reviews. I have met, hunted with, fished with some of the greatest people in the outdoor industry. Many are gone now while the rest remain my friends for life. In recent years health problems have caused me to cut back on some of my activities. It is heck getting old. Sitting here today has cause me to reflect on the past (a great time) and begin to set goals for 2017 that include more travel for hunting and fishing. Those goals when accomplished will appear in this journal. Stay tuned! Posted 01/05/2017 by Donald Gasaway in Conservation, Freshwater Fishing, Game Management, Hunting Big Game, Hunting Small Game, Misc. Each spring, white bass move to staging areas and then into their favorite spawning areas of lakes and rivers. The exact dates of the white bass action are dependant upon water temperature and levels in the main lake. Carlyle Lake in IL offers some of the best white bass fishing in terms of quantity and quality. The fish average 2/3 pounds in size and there are good quantities available. Located on the Kaskaskia River near Carlyle, Illinois, the lake is 50 miles due east of St. Louis in Fayette, Bond and Clinton counties. It is a U.S. Army Corps of Engineers reservoir that contains some 26,000 acres of water. White bass are a cousin of the saltwater striped bass and as such have much of the savage instinct of their brethren. They will hit light tackle and give the angler more than he can handle. Following the warm rains of April, these water tigers go on a feeding frenzy that will last into June. White bass become more active as the water temperature rises above 50 degrees. The average size taken by anglers tends to run about 3/4 of a pound with some taken over two pounds. Catching white bass is easy, finding them is the tough part. Pre‑spawn fish position themselves on sand bars and gravel banks in fast water. During the spawn, they make runs into the major feeder streams looking for suitable gravel beds. After the spawn, they head down stream into creek channels or roam out into the main body of water. If the fish are not in the spawning stages, then a good pattern is to troll over the sunken islands and humps with small crank baits. The presence of feeding gulls is a good sign white bass are present. Look for shad clouds on your electronics. The schools of white bass are usually near by. Often they are on the deeper side of the islands or flats. They wait to ambush some hapless shad that might swim past. Often sauger will travel with the white bass in spring. White bass anglers often take a sauger or two. When feeding on the surface, concentrations of seagulls pinpoint the location. At close range you find them by spotting the splashing water. Feeding fish breaking the surface causes the appearance. At times the fish will stay up for ten to fifteen minutes. More often they will feed for only a minute or two and then dive back down. Usually they surface again a hundred yards or so away. As the water warms a good location to find fish is out on the main lake. If the water cools then check creek mouths or the flats. In-line spinners and jig/minnow combinations are a good choice when fishing rip rap areas. Early morning and late evening hours are best for finding white bass. When they are actively feeding they will strike in the heat of the day. Position your boat in the general area of the feeding and wait for the white bass to rise. If you want to get out of the direct sunlight, there are bridges under which you can anchor to wait for the action. Light tackle is a must for these fish. Small crankbaits, spinners and jigs are good with line in the four‑ to eight‑pound test range. Small tube jigs tipped with a minnow or a plastic grub. Plastics with contrasting dark and light colors work well. White plastics are popular. Lures can be double-rigged for more action. A pod of fish will often yield multiple strikes. Astute anglers notice the size of the bait fish and match the lure to them. Angling success tends to be dependant on year hatches. A year with incredible numbers can help carry the population over lean years. The best fishing is likely to be about two years after a large year hatch. Posted 03/18/2016 by Donald Gasaway in Misc. Fly fishing anglers need to study the fish, their eating habits and the habitat where they find the trout. Doing so will lead to enjoyable and successful fishing pursuits. Thanks to the aggressive stocking program of the Missouri Department of Conservation and the Arkansas Game and Fish Commission, cool clean water of the rivers of the Ozarks numerous rainbow and brown trout are lying in wait to yank on an angler’s line. Trout in the wild prefer water around 50-degrees with a rocky bottom. The springs emanating in the limestone of the mountains provide a very suitable habitat for trout. On rivers with changing water levels the fish survive through adaptation. As the water level lowers and the current decreases, they move toward the middle or anywhere with deeper, cooler water. When the current is fast, they will move to the edge of the river. They need to move to structure to conserve energy and preserve calories. Trout have tiny scales aiding them in living in moving water. This coupled with their slime coat allows them to go nose into the current expending less energy than other fish. The major other factor that affects trout fishing is food. The trout’s eyes are located mid-range on their heads allowing them to feed either up or down from their position. Ninety percent of their food, immature insects and aquatic creatures, crawls on the bottom of the river. As the food supply grows and matures it moves up in the water column eventually reaching the surface. Fly fishing anglers need to adjust they type of presentation they throw to the water level in which the trout are feeding at the moment. 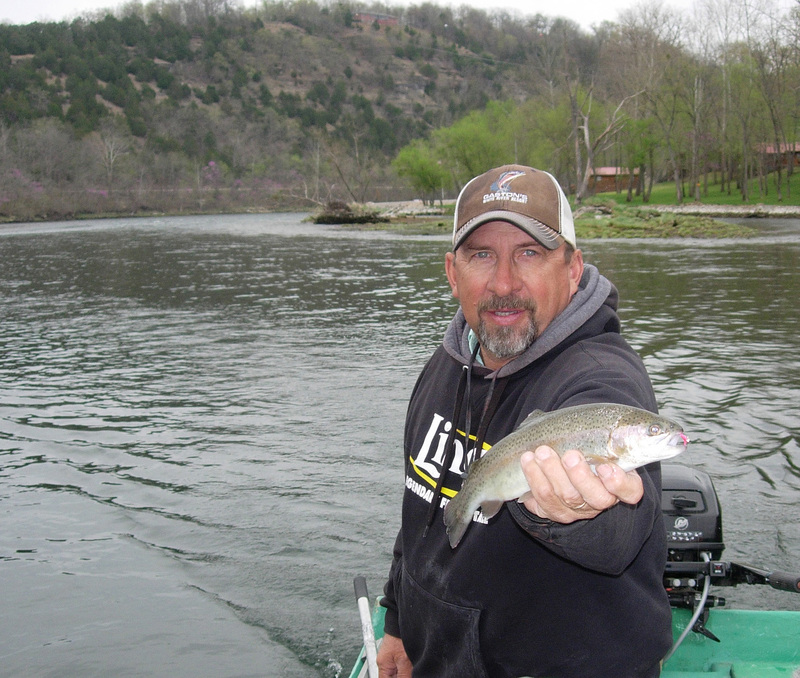 Take to the rivers this summer and enjoy with me the bounty of trout found in the Ozarks. Posted 05/04/2015 by Donald Gasaway in Freshwater Fishing, Misc. I just want to thank all of you who called, sent emails and cards for my birthday yesterday. It was quite a surprise. Time just does not allow me to express my feeling to each of you. I lost count when the number of expressions ran over 200. Many of you do not know me personally but only through my writing and community activities. Others are family, friends and professional acquaintances. Your taking time from your busy schedule to wish this old hunter/fisherman a happy birthday is greatly appreciated. Posted 04/08/2015 by Donald Gasaway in Misc. 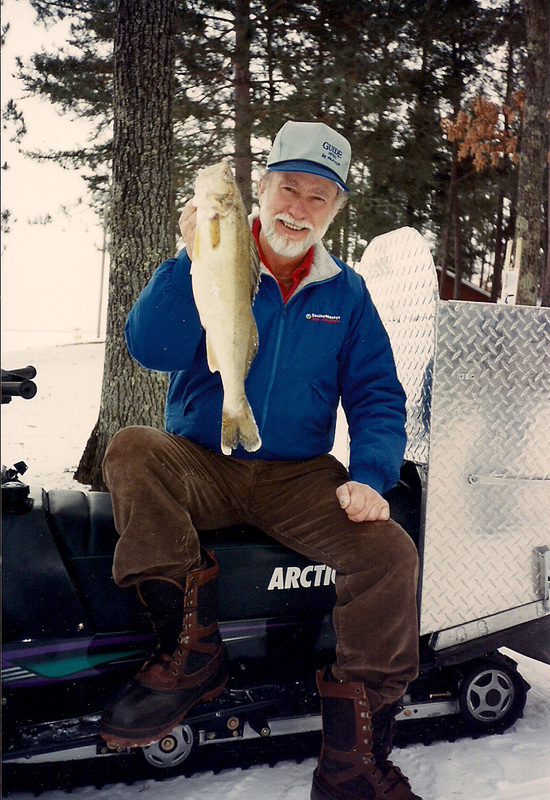 Gary Roach with Lake Winne walleye. Watching a 6-pound northern pike move up on a jig/minnow and then flare his gills to inhale it, has got to be one of the big attractions to ice fishing from a spearing shack. The darkness of the windowless spearing shake makes the water beneath the ice light and clear. Here on Lake Winnibigoshish in northern Minnesota the long fish moves along the bottom and then lays still. We look down into the water but have trouble seeing it. It is there because the electronics say he is there. Suddenly we can see him as he flares those gills and the minnow disappears into his monstrous mouth. A quick yank of the line and he is hooked. The fish thrashes back and forth under us flaring his gills in a vain attempt to spit out the hook that came with the minnow. No use as he is well hooked and will grace the dinner table this evening. Ice fishing is a relaxing and social experience. There is no pressure to catch a lot of fish or to catch that big one. Both do happen, but no one gets excited if it does not. This solitude of a northern lake is a welcome respite from the pressures of daily life. The weather can be frigid and forbidding but if one wears modern winter clothing it is no problem. There is a saying among ice fishermen that 90 percent of the fish are in 10 percent of the water. The anglers who find fish know the seasonal movement of their quarry and know how to use electronics to locate them. Fish move to areas with food sources. Northern pike prefer bays full of perch. The real big ones tend to stay near deeper breaks. Another consideration in finding fish is when they are not eating; they go to the warmest water available. That is generally right on the bottom of the water column. If you have a map of the lake and know where the deeper holes and drop-offs are located, you can make the knowledge work in your favor. Rigging the minnow can also improve one’s chance of luring in a fish. Once dropped into the water the minnow is competing with all other baitfish. Once hooked a little differently it may attract a predator fish. Because of rough conditions, small subtle changes in the rig may make a difference. Other anglers often do not go the extra mile and this puts you ahead of the game. Once you have the depth of the fish with the use of electronics or video cameras it is a simple matter of dropping a minnow on a jig to the bottom. Then raise it up about 2 to 4-inches and jig it. Let it sit motionless for a few seconds and repeat the jigging activity. It helps to vary the speed and rhythm movements. Fish are attracted to the motion but usually bite when the minnow stops moving. Shiner minnows are universal perch bait. Northern pike and walleye also love them. However artificial grubs can result in action. Ice fishing up here is usually out of a resort. It is not expensive as fishing trips go. There is no stress to go out and cut holes. The guides do it for you in advance. Most resorts also provide ice houses that are large, warm and comfortable. Posted 11/29/2014 by Donald Gasaway in Misc. The Illinois River north of the Alton/St. Louis area is an ever changing situation for the bass angler. What man has not changed weather is likely to modify. The joining to the Kankakee and the Des Plaines rivers forms the Illinois river which proceeds some 273 miles southwest and south to enter the Mississippi River some 14 miles upstream from Alton, Illinois. Variations of water level, wind, weather and temperature conditions provide the angler with a challenging time trying to get a handle on the most effective fishing patterns. Some anglers have reported fishing a single stick‑up and taking four fish from it. They can then move away for a short period before moving back to the same spot and finding the water had dropped 5 inches. Bass move in and out of an area in response to the rise and fall of water levels. Anglers fish the same log for days, making several casts and catching nothing. An hour later they return and cast to the same location and catch fish. The variable is the change in water level. Floods and fluctuating water levels, due to water releases from dam gates, can affect shoreline habitat. At one time the river with its backwaters, tributaries and fertile watersheds was probably the most abundant and diverse river fishery in the upper Midwest. Man used it not only as a means of transportation for people and goods, but also for disposal of garbage and other waste. Since the early 70’s water quality has improved in part due to passage of the Clean Water Act and the funds it made available. Largemouth bass are in the entire river in the tailwaters, lakes and slough habitat. The side channels as well as the main channel provide structure and habitat. Not all fish habitats are open to the angler. Illinois law declares public only backwaters that have natural connections to the river and where the water rises and falls along with the river. Dug out areas such as marinas and entrances to private hunting clubs are not natural connections. One local angler reports the secret to finding bass is to go north with the high water until it begins to muddy up, then move south. As the water rises one is able to move over sandbars into waters otherwise unapproachable. Fish move into these areas with the high water. Usually where one finds one fish there will be several. Looking back to where barges are loaded or parked and into some the little feeder creeks is often a good idea. Some of these areas lead way back into the creeks. 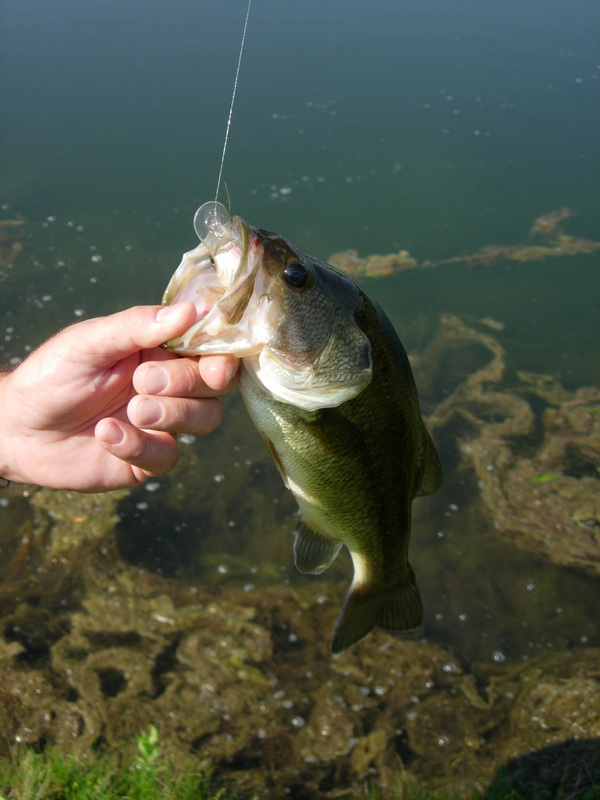 Some of the best bass fishing comes when the water temperatures warm to 75 degrees or more. Morning and evening are most productive. Sudden rainstorms in the upper watershed of the Illinois River can produce significant variations in water depth. Frequent changes can make finding fish difficult. Fish like the cover of weed beds, brush, stumps, willows and fallen trees. The Illinois River is popular with recreational boaters and anglers have to compete with them. The commercial barge traffic on the river proper can also be a nuisance. Weekends are particularly busy. Crankbaits, plastics and spinnerbaits all produce fish. The veteran river anglers tend to prefer spinnerbaits and plastic craws. The jig‑and‑ pig combination does not fare as well. Many locals find the ringworm plastic lure produces good action. The bubble action seems to attract the bass. Purple and white are popular colors. During July and August, topwater lures are popular. Often bass fishing takes a back seat to catfishing during the hotter months. There is no doubt that the Illinois River provides an excellent fishery. It is difficult to master. Its future sometimes appears questionable due to man’s lack of vigilance. If one takes time to learn the habitat, bass are there to catch. Posted 06/06/2014 by Donald Gasaway in Misc.